I had an AWESOME time this weekend at Walter Dacon Wines in Shelton WA. THANK YOU Lloyd, Ann and Holly so very much for showing me around. I feel about Walter Dacon the way I do about Obelisco Estate and Barrage Cellars– true GEMS that I am so happy to have found. Wine Maker and owner Lloyd introduced us to his dog Belle, and then took us in the cellar for some barrel samples. Awesome wine maker and cutie Holly talks about Twitter! 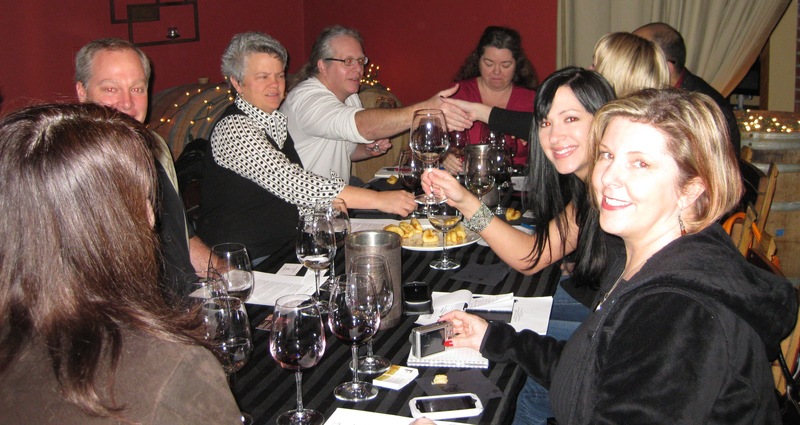 A wine Tweetup is when a group of people who ‘tweet’ about wine on Twitter meet in real life to taste or drink wine. Before, after and at the event, the attendees tweet about where they are and what wines they are drinking. Whether the host business is on Twitter or not, the business receive a great deal of online mentions and recognition for having hosted the event. In return for the mentions, they provide the group with a complimentary wine tasting (hopefully), and sometimes food as well. The level of what the host business offers can range from a complimentary small flight of wine to a fully catered wine dinners. Lately, I have been tweeting about recent wine tweetups, and how I am planning on organizing some in the future. I have gotten a barrage of messages asking me how to organize a wine tweetup. I have also received a lot of attention from restaurants, wineries, and wine shops asking me if they can provide the venue. I am so glad that these businesses realize the benefits of hosting such an event, and how exponential the ROI (return on investment) can be for them. Getting in good with people who have the ‘power’ to tell thousands about your business is one smart move! If you have a wine or food business and would like to host a tweetup, find a few influential wine tweeters who live in the area and invite them to come to a tweetup event that you will host. Another way to be a venue host is to ask an influential wine blogger or tweeters to organize the attendees of the event, and you will provide the wine/food and venue. A special thank you to Russell’s Restaurant for the amazing wine pairing appetizers provided at the Alexandria Nicole Cellars tweetup. See more about this topic: What can Social Media do for Your Winery? All content written by Seattle Wine Gal. Like most small business owners and “self- branders”, I used to have the wrong idea about how to ‘use’ Social Media. Are you a wine shop owner or winery looking to add Social Media to your Marketing campaign? One of the biggest mistakes you can make is to focus solely on an increase in bottom line sales and conversion rates. Here is what happened to change my thinking, and why you should change yours now. I ran a Social Media Campaign for a large international online retail fertility supplies corporation. I adopted the persona of @FertilAidAmy, the infertility world’s online source of trusted and accurate infertility information (having attained a degree in Women Studies and health, I was actually a legitimate trustworthy source of information). I will be frank with you. The number one goal we had as a company was to use Social Media to increase bottom line sales. Is this a bad thing? No, not at all; most companies are using Social Media for just that reason. It’s not so much about why you’re doing it, it’s how you go about it. As FertilAid Amy, I slowly built a community, employed clever tactics to increase clicks on our website (and conversion rates), used coupons, contests and games to engage people, and ultimately increased bottom-lines sales quite significantly. Here’s what I never bargained for, and what I realized the moment we saw this campaign become truly successful: I began to really, truly care. I was involved in the lives of the people in my online community, well beyond just trying to sell them stuff. I established trust, create a raport and gained a huge following for the simple reason that I began to honestly care and love my ‘target audience’ as real people, and friends. I believe that this reality was ‘sensed’ by my community, and this was the moment the campaign began to thrive. All of my aforementioned goals of bottom line sales etc. began to increase. I was being rewarded for being authentic, and my reason for doing Social Media began to change. I went from a sales person to a friend and trusted source of information, both seemingly and in reality. When done well, the lines between Social Media done for profit and done because you care will begin to blur. You may be asking yourself what is the intent behind Seattle Wine Gal? I am in no way going to mask the reality of my reasons for starting this Social Media presence. My Seattle Wine Gal campaign (using my love of wine) was originally intended to show future employers the level of Social Media engagement I am capable of. The moment I began to truly care for the people in the community I am engaging in, and my campaign shifted from ‘putting myself on the map’, to meeting new like-minded people, and creating real, true friendships, was the moment I realized that Seattle Wine Gal was a success. I do not feel like the timing was coincidental. Be Authentic, create REAL friendships and connections, engage, stop trying to sell stuff (or at least do it in a more elegant way), Go beyond your business sense and enter an arena of mutual respect and care. Start Giving a Damn… you will be amazed by the ‘results’, and the shift in how you view your clientele and the Social Media Community you created. If You Bui ld It, They Will Follow. 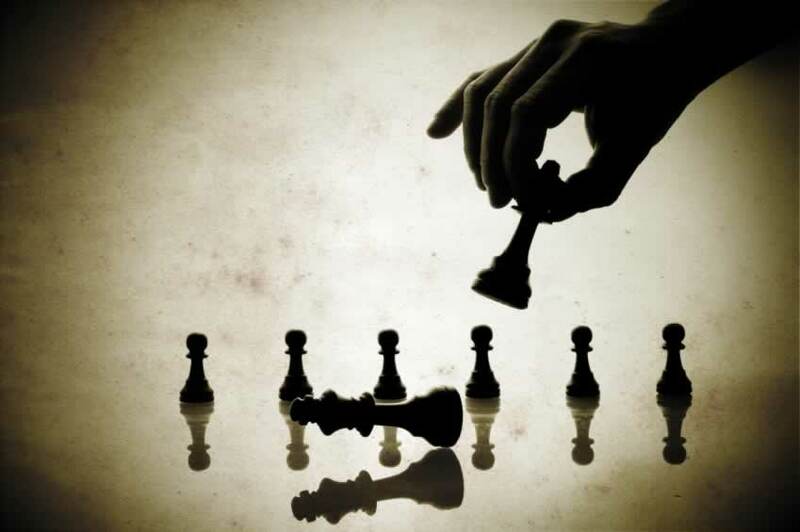 Do not attempt Social Media Marketing without having a clear strategy in mind! There are many facets of good strategy: setting goals within Social Media; how to go about achieving goals, and what to offer in return for customer/potential customer interest and loyalty. This post is about offering something in return for interest, loyalty, and appreciation. 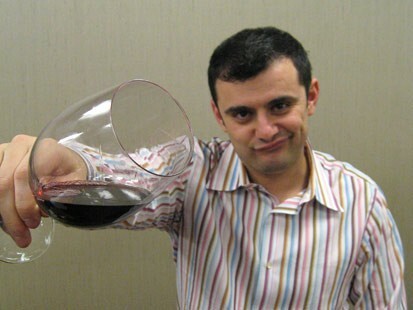 Blogging about, Tweeting about, and making Facebook posts about your latest wine deals etc. will not build your Social Media community. Yes, you should use these to your advantage within the space, but do it with some finesse and thought. Engagement is key. Get creative, listen to people, offer clever incentives to get people into your tasting room. Above all, have a very specific niche and stick with it. Without a consistent theme of your posts and Tweets, you will confuse people and lose their interest. The wrongful assumption is that you need to type up a blue streak about you you you. Telling people about the latest deals, a new vintage release, awards won etc. tends to interest people who are already a customer of your winery or shop more than potential clientele. The idea of Social Media Marketing is to extend your fan base, and get new people into your tasting room, while also engaging existing customers. I recommend creatively incorporating your wine deals and releases etc. into your well thought strategy. JoeShmoe Wine Cellars: Offering you excellent food and wine pairing ideas, for free! Seattle Wine Shop: Your source of information for the newest and most unique wines available in the area. Barbara Evans Winery: 101 wine tasting advice for the beginner enthusiast. After coming up with this element of your strategy, i.e. what you can offer, stick with the plan. Gently and creatively incorporate your promos and events through this medium. Please comment below and let me know what you think! I wish you luck and hope that this was helpful in your new or existing Social Media endeavors.